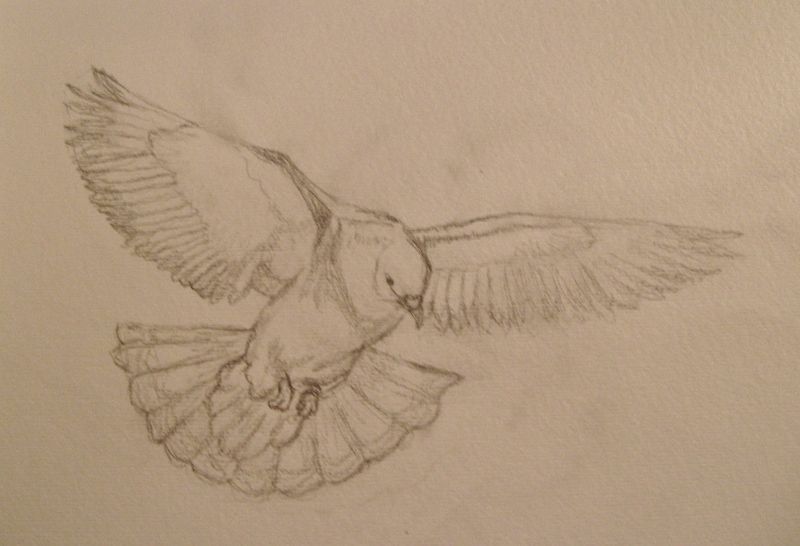 Pigeon in progress. He’s very sketchy and smudged at the moment but I’ll be cleaning him up and adding colour soon. 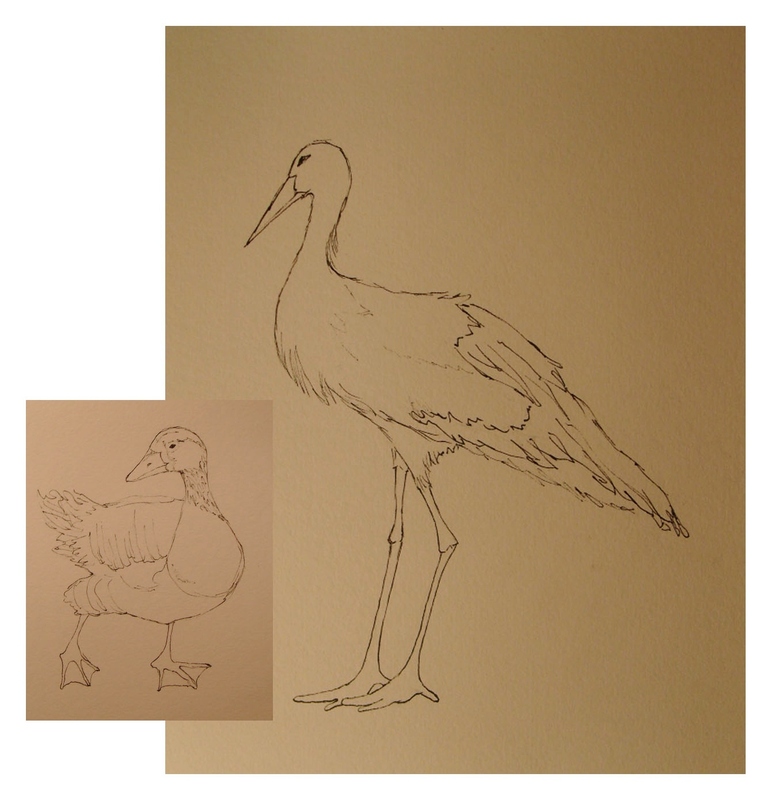 I’m all about birds at the moment, and not for the first time. 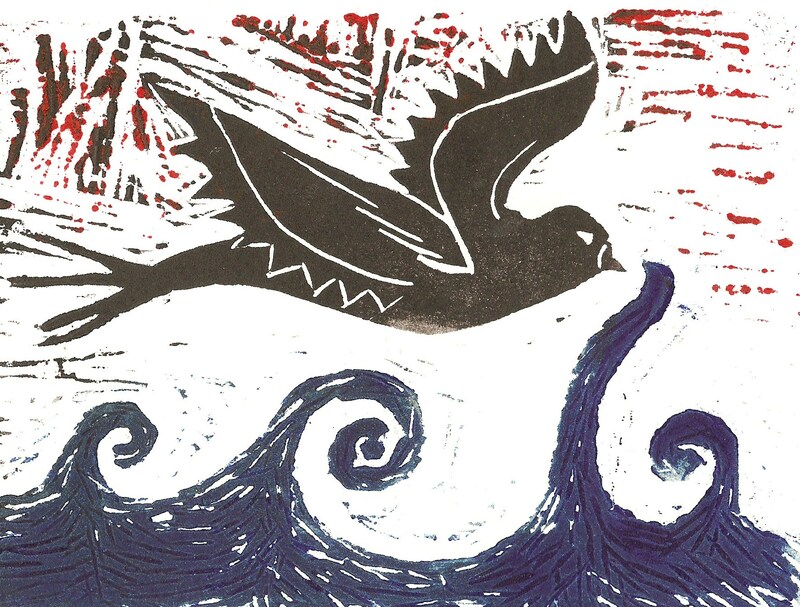 Birds used to be one of my favourite motifs along with trees and seas. This is a linocut print I made nearly seven years ago! 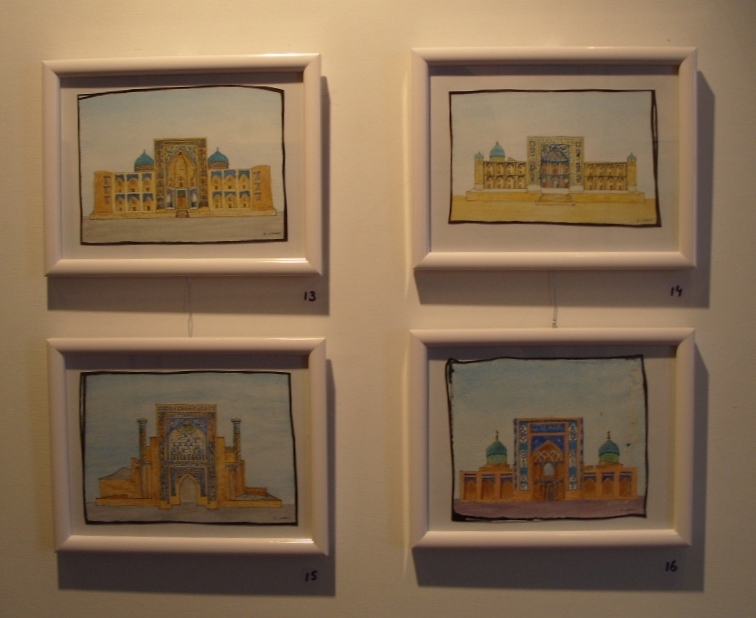 Still working on Uzbek-inspired pieces for the coming exhibition. The mountains are finished and now I’m onto the birds. Today I am mostly painting mountains. A little sky and a little sea too, but mostly mountains.